Apple always succeeded to accomplish the expectations of users and developers with every iOS update. Updates in iOS 8 to iOS 10 surely resulted in fruitful results. Apart from the extended updates in Apple Pay, Maps, iTunes, etc., Apple came up with the outstanding open platform for the developers called APP EXTENSION. App extension is small programming concept that on integrating, enhances the functionality of an application. By this, the user can have easy access throughout the app with an outstanding experience. There are numerous app extensions in iOS, mainly used to ease and enhance the performance experience. 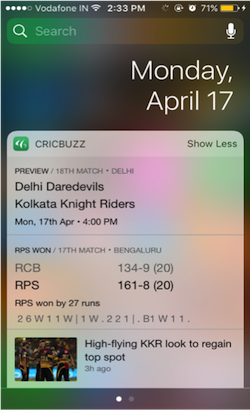 App, integrated with Today App Extension, show widgets in Today View of the Notification Center, displaying fast updates or enabling transient task. Today extension is capable of showing information such as updates of shipping delivery, breaking stories, live sports score, step counts and much more. Below is the snippet which displays the basic implementation of the Today App Extension in the app. @IBOutlet weak var lblTimer: UILabel! iMessage extension – instant messaging is plugged in for the enhancement of the messaging app features. With iMessage, the user can express themselves in new ways, share theirs snaps and clips and also reach location faster with proactive suggestions in maps. Also, iMessage adds up the value while letting user share images with emoticons, stickers and comments. 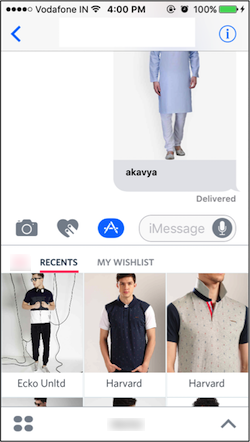 Moreover, a user can also share their recent activities or can share with their friends their likely products from online shopping (if the iMessage functionality is plug in the app). With its integration, the interface becomes more lively and user-friendly. Briefly, users need not to leave their conversations to edit a photo, play a game and make payments and much more. Replace the ordinary keyboard with the custom keyboard in the app. The user can simply tap on the keyboard to switch the keyboard and can utilize functionality which are associated with the custom keyboard integrated apps. Right from transferring money to sending mood stickers can be done from custom keyboards. Rather than switching between apps, simply tap and swap the keyboard to perform the task. Siri supports Intents and Intents UI which helps to assist communication between app and system. Siri basically handles responds on almost all natural languages. The spoken requests are handled by intent object, while the interactions are handled by Intent extension. To manage the complete process Sirikit App Extensions are implemented to perform the request response process. Just a command “Hey Siri” to activate Siri and your demands are fulfilled by just your voice. 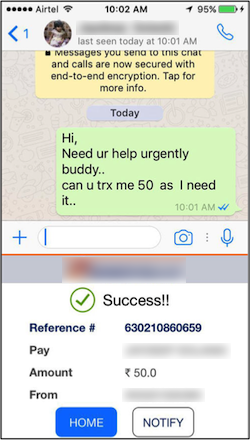 Time back, to view quick updates on the Today Screen, to send money in few tapes or to express feelings in style you desire was just a nightmare, but the coming of app extensions such features are easily available in the app, makes an app lively and interactive.